They say that food is one of life’s great pleasures and we certainly (as a collective Western Culture) obsess over it enough. For some it’s a source of guilt, choice, assertion of individual tastes and preferences, a chance to get together, frustration, obsession and many more adjectives and verbs I could use. The thing I don’t see are many occasions where people sigh with pleasure as they walk around with a pretty decadent treat, munching mindlessly. Myself included – I’ll grab some raw chocolate from the fridge, put it in my mouth so the kids don’t see and munch it down quickly. Which leads me to think that I don’t respect food as much as I should. To lead by example I’m going to need to change some of my attitudes, behaviours and habits. I think we believe as a culture that children grow out of their “no” and “dislike” phase towards food but just last night I realised that it’s not entirely true. As it is Julian’s choice for breakfast this morning, he chose porridge. I passed on this news to my husband and he declared he didn’t like it and wouldn’t be eating it. If I had served any variety of delicious seafood at the family BBQ last night I would have got wrinkled noses, shakes of heads and refusals to eat – and that would have been from my parents and Grandparents. Not having an adventurous pallet is not something one grows out of in our culture. In fact I have lists categorised in my heads for friends and families “no” lists. It doesn’t make it easy or that enjoyable to plan elaborate menus for dinner parties. I broke the mould in my family when I was a teenager (and this may have been the people pleaser in me) and learned at friend’s places to eat seafood, try different dishes and acquire tastes for things like oysters. I was trying to explain this to my husband the other day on the subject of acquired taste. The point is to try and like it. Too often we make up our minds before tasting a food and if it is true that it takes ten tastes to like a food then a lot of us fall short on making that effort. This may or may not be important for you but for me I like being able to eat everything and enjoy lots of different foods. Life would be very different without the pleasures of crayfish, oysters, sashimi and mussels, at least for me. So the need to set my kids up with the same variety of taste is something that I feel passionately about but have been disheartened by resistance and worn down by refusals, until reading the books on the weekend. The other thing I must say that I’ve taken from the book is the realisation that I care way too much about health and food and not enough about pleasure. To enjoy your food is something completely different from seeing it as fuel and a vehicle to better health and energy (my view). So cracking open my closed mind on this subject is a revelation (especially while pregnant and food is so tasty). Healthy is great but I managed to forget that variety and taste is the key to a pleasurable and satisfying food experience. Side note: I’m dying to say something about nutrients but I’m trying to be less clinical about food and more instinctual! So how did day 2 go? I still declare it a success and the moments of joy we have shared at the table have overridden the complaints, whining and tears (at least for me). Both kids devoured their fruit and then there was a minor meltdown as Julian decided he didn’t like fried egg. He conceded to taste it after a little while, said “Ew” and then with no comment from him or us preceded to eat every piece of his egg and left his toast. Leo left all of his egg and nibbled at his toast. Note to self: if serving something they don’t usually eat – bookend it with a couple of filling things that they do eat. Leo would have been happy with some yoghurt and cheese as well I think. I was surprised and amazed as the carrots got eaten…then chewed up and spat out in teeny tiny pieces from Leo, though he did eat some. Spitting out the carrots resulted in removal of the plate, though he protested, won the plate back and then preceded to chew and spit like some kind of tobacco chewing cowboy. Plate removed again. Julian was happy and very grown up and mature about it all. They loved it! Two empty bowls. I was very dubious because the amount of vegetables in there was quite incredible. We had fun talking about the textures of the food, crunchy corn, slimy rice and the smooth sauce. Julian who usually says no thank you to smoothies and told me in very clearly at the table today, “I only like banana smoothies”, drained this one. Leo loves smoothies so was very happy with this way to end his meal. Julian helped me bake this and we made a special trip to the shops after Leo’s nap to get butter as we had run out so that we could smear it on this fruity slice that had a ton of fruit, dried fruit, nuts and seeds in it. The beetroot was promptly given an “ew” by both of my boys but they both very, very delicately tasted it and decided it wasn’t likeable. I told them next time they might like it and urged them to eat their tomato and green beans. The tomatoes were a hit, especially with Leo who had helped me cut them up (they looked terrible in the salad but it was educational!!) but the green beans (served cold in the salad) were left with a tiny bite mark from each of them. At our family dinners there is a lot going on. There were nine adults and the two kids, passing food back and forth, with Julian at the opposite end of the table to me. He got his roll and sausage and munched happily, asking for a second. We said no, asking him to try the steak and chicken but he refused and we didn’t push it, nor did we give in and give him a second roll. Leo, I was a bit more stealth with and piled the meat on his plate first, without the roll. He ate the sausage then refused the rest of the meat, spitting the eye fillet(!!) out on to his plate, then piling it on mine. I piled it back on his and four adults sat encouraging him to swallow some steak so that he could get a roll. Painfully it took about ten minutes and then he decided he liked it and ate the rest of it. Only then getting his bun. They were both more than happy with a couple of slices of mango to finish off the meal. I am loving sitting down with them and spending the time and have noticed how super fast I eat. This makes waiting for Julian and especially Leo to eat a lesson in mindfulness and patience so I am determined to start slowing down and making the experience more pleasurable. As it was the second day for us in the house (I hadn’t planned anything and enjoyed the rest) the kids did get a bit bored and there were a lot more, “I’m hungry” requests (when they are bored and in between activities) than there were the day before. A Note: There was a comment on my blog that I could not believe everything I read and well-behaved kids are not necessarily happy kids. I totally agree. Everything needs to be taken with a pinch of salt, tried and tested yourself and evaluated on an individual basis. A uniform approach like this may not work for you or your family and it may not work for mine. This experiment is a test for me to work out what is right for us because the way our meals were functioning was causing me a lot of stress and frustration. I think behaviour as well is debatable. I don’t want stepford kid but I do want respectful kids who are mindful and polite. I see it as my job to educate them. Loving these blog posts! I find it a very interesting topic considering I have a pretty fussy 7 year old and a not too fussy 2 year old. The thing is, the 7 year old used to eat a much wider variety of food. With starting school and being introduced to all sorts of crap (NSW approved Canteen and still filled with rubbish – I do not give her money to buy stuff but her friends share their nasty grub with her) – she has grown fond of anything with white flour and white sugar in it. Add to this a me being not too experimental in the kitchen with new foods or flavours, and I have a child who has actually regressed in her eating habits. So I agree with you – children do not grow out of food fussiness, in fact if left alone I think it can get worse. 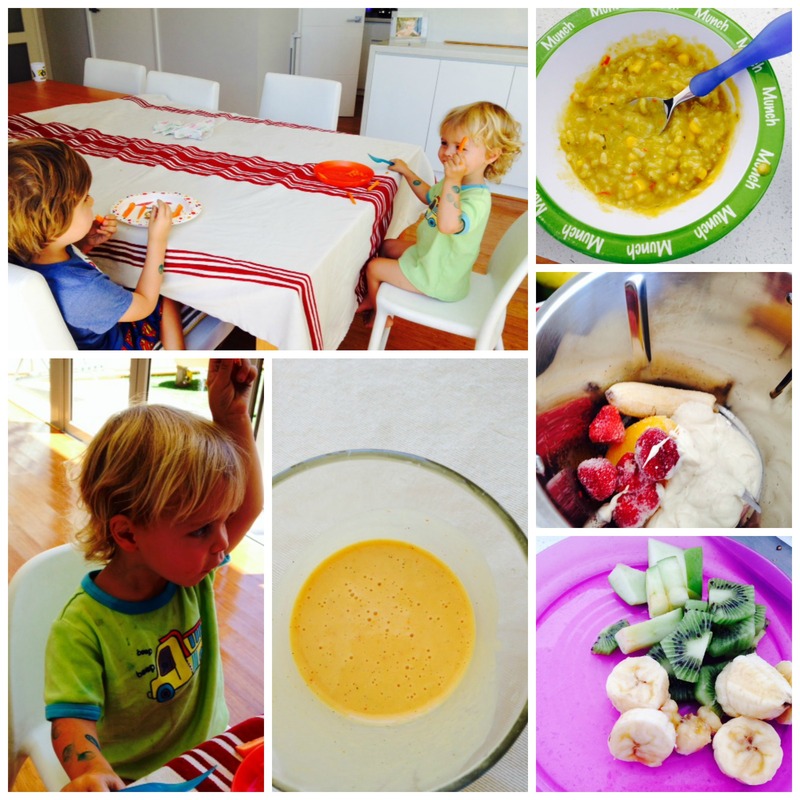 In our house we eat dinner together every night, and all meals together on the weekends – this is extremely helpful for a number of things (table manners, socialising, trying new foods, bonding etc). Also we now follow 2 rules in our house – everybody at the table has to have at least one taste of the food they are refusing to eat, and the second rule is that there’s nothing else to eat except what’s in front of them. I know some people may find this harsh, but it’s working for us. I came to realise a few months ago that my children would not die of starvation if they skipped one meal 🙂 and invariably they don’t skip the whole meal, they just eat less of it, saying they are full (when really they don’t like it). Granted I don’t put highly unusual things in front of them, the food I prepare is all quite child-friendly, but I have started branch out with my cooking. I find my girls are pretty good with the vegetables I put in front of them, but can change their minds on things like fried eggs from one day to the next. But tough luck I say. You get what you get and you don’t get upset ;)/ A lovely topic Nicola – keep these posts coming! I agree with you on the one dinner policy so I don’t think it was harsh as I was doing it, and I thought I was doing great, until i realised they didn’t care if they ate dinner or not because they were stuffed from their snacks and pretty happpy with all their individual breakies! !